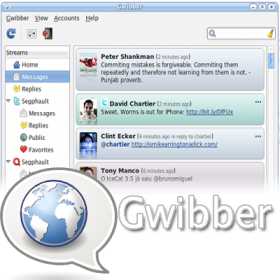 Gwibber is a microblogging client for the GNOME desktop environment. brings the most popular social networking services like Facebook, Twitter, etc into a single window and gives ability to control communication through one single application. It only runs on Linux and is written in Python using PyGTK. It ships with Ubuntu 10.04 and above. 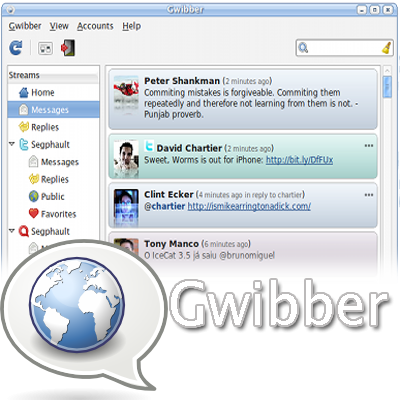 Gwibber supports multiple social networking sites in a combined social stream with URL shortening, saved searches, and a multicolumn UI.